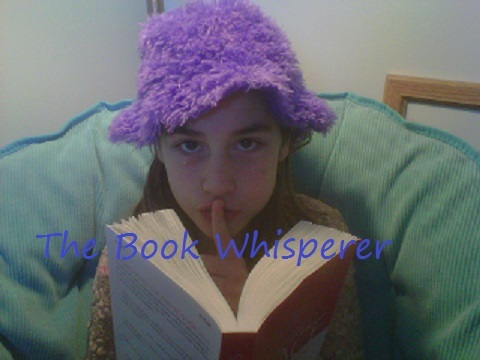 Grief takes many forms at different stages of a child’s life. I was reminded of this recently when Sarah and I went to the recent Pixar release, Inside Out, which gave us a memorable glimpse into the mind of such a child, and reminds us that grief doesn’t always involve visible tears. [Inside Out: SPOILER ALERT] In one scene near the end of the movie, ten-year-old Riley has this exchange with her parents after her foiled attempt to run away back to Minnesota. Riley: I… I know you don’t want me to, but I miss home. I miss Minnesota. You need me to be happy, but I want my old friend, and my hockey team. I wanna go home. Please don’t be mad. Dad: Were not mad. You know what? I miss Minnesota too. I miss the woods where we took hikes. Mom: And the backyard where we used to play. Dad: Spring Lake, where you used to skate. With adoption, this grief (a component of trauma) is not something the child can often process so neatly or definitively. 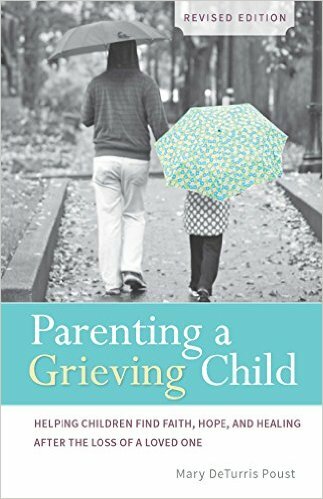 In Parenting a Grieving Child (Revised Edition), Mary DeTurris Poust reminds parents that the intruding and often overwhelming feelings of grief and loss affect children differently at each stage of development. From tuning out to hyperactivity to snarking to fear of separation to self-harming, each sign of grief needs a different kind of gentle parental intervention and understanding. “That just threw us across the room mentally. You wonder, How could she not get this? We weren’t mad at her, but it was simply amazing,” Gregory says. “She watched his coffin go into the ground yesterday, and she’s wondering where he is. I think that this is the mercy of God because I think the Lord draws a veil and lifts that veil a bit at a time according to what the children are intellectually and emotionally capable of dealing with.” (Parenting the Grieving Child, Revised Edition, by Mary DeTurris Poust, p.53-54). This severe mercy of grief’s internal “pressure valve” is something foster and adoptive parents frequently encounter. If you are experiencing it right now, this Catholic guide to childhood grief offers simple, practical steps to help you navigate this valley of the shadow. Lord Jesus, you grew up without ever laying eyes on your Father. Though Mary and Joseph were a constant loving presence, still that longing must have burned in your heart at times. Please pour out your grace upon my struggling child. Give me patience and gentleness, and the wisdom to “weep with those who weep.” Even when that weeping looks a lot like snark. Amen.